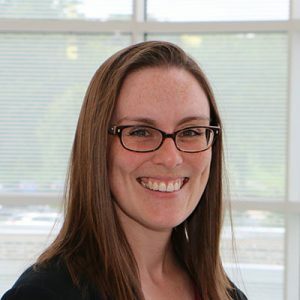 Ashley Kuhl, MS, CGC, is a genetic counselor in the Biochemical and Medical Genetics Clinics. She provides support, care coordination and genetic counseling for individuals and families with, or suspected of having, inherited diseases. She provides mentorship and teaching support to the UW Genetic Counselor Training Program, UW Medical School and MCH LEND Program. Kuhl works closely with the Plain Clothes Communities in Wisconsin and is involved in the Amish Project, which provides genetic testing and improves newborn screening awareness to Plain Clothes families. This project is a collaboration of several UW and local healthcare providers and is funded through a Wisconsin Partnership Program grant. Kuhl A, Reiser C, Eickhoff J, Petty EM. (2014) Genetic counseling graduate student debt: impact on program, career and life choices. Journal of Genetic Counseling. 23(5):824-37.